Unafraid of the impending closing of the Metro, Capitals fans partied in the streets Thursday night and into Friday morning to celebrate the franchise's first Stanley Cup and the city's first title in the major four professional sports since 1992. After the Capitals beat the Vegas Golden Knights 4-3 on the road in Game 5, celebrations erupted inside their home arena at the viewing party and around Chinatown. Confetti covered fans who filled Capital One Arena, and chants of "We Want The Cup!'' became "We Got The Cup!" Outside, fans watching on video boards chanted "Ovi! Ovi!" as captain Alex Ovechkin was presented the Conn Smythe Trophy as playoff MVP with 15 goals. The crowd cheered wildly when Ovechkin lifted the Cup to complete his 13th season and the franchise's 43rd. The Capitals had only made the Cup Final once before and the semifinals twice. One fan held up a sign reading, "Now I Can Die In Peace" -- which was made famous in hockey when the New York Rangers won in 1994. 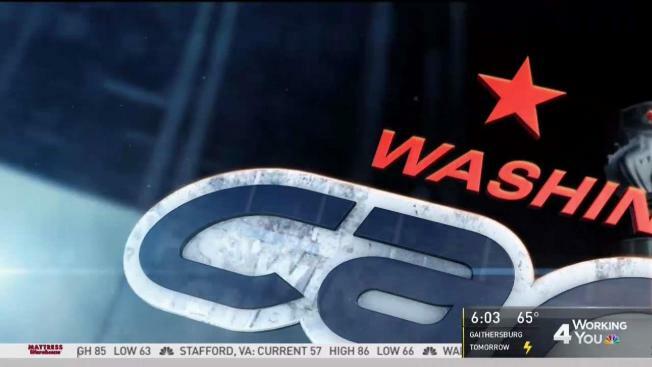 This was new for at least a generation of D.C. sports fans. The championship is the first by a Washington professional sports team in the NFL, NBA, NHL or Major League Baseball since the Redskins won the Super Bowl on Jan. 26, 1992, and came 40 years to the day the Bullets won basketball's title. As police officers blocked F Street and announcements were made about the last Metro train, many fans ignored those pleas and kept partying on the steps of the National Portrait Gallery and in bars surrounding the rink. A couple of fans climbed light poles and one even scaled the nearby dragon tower. "It's just a relief, man," longtime Capitals fan Arash Tafakor said amid the celebration. "We haven't had a championship in a long time. This puts the monkey off our back -- all of D.C. sports."